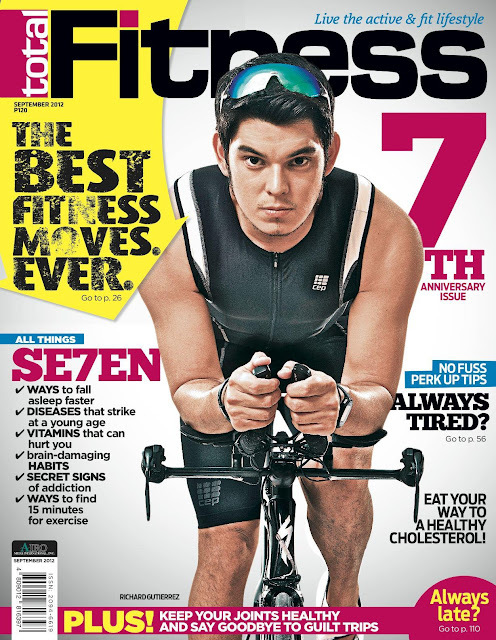 GMA-7's Pinoy Adventures host Richard Gutierrez graces the cover of Total Fitness magazine "7th Anniversary Issue" this September. Join Total Fitness as it celebrates its 7th Anniversary this September with a feature-packed issue filled with features for a totally fit mind, body, and soul! Learn how to achieve your healthiest and fittest body ever with the seven best fitness moves ever; squeeze in 15-minute exercises in your busy sched; keep your joints in tip-top shape; and check out tips on how to be on time all the time. Also in this issue: the active and fit side of Richard Gutierrez; right workouts for your body type; must-have running essentials; a 6-page shoe buyer’s guide; the latest sports and fitness gear; product news and reviews, and so much more! Total Fitness is available at all leading bookstores, magazine stands, select bike shops, health stores, and fitness centers. For inquiries and subscription, call 374-6771 to 74.